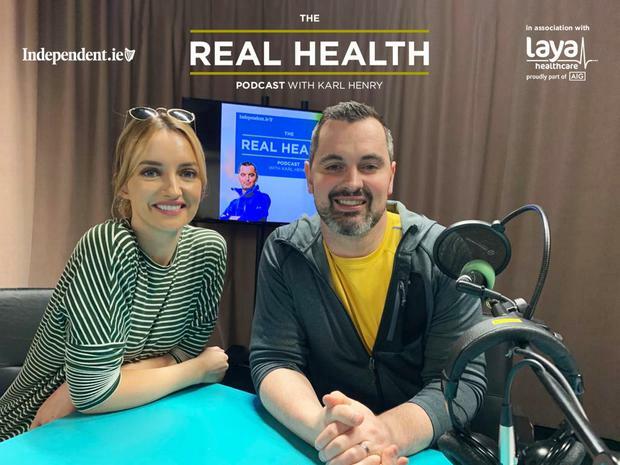 She’s a best-selling author of two books, Owning It and The Confidence Kit, has a chart-topping podcast and is looking to crack the US with her brand of no-nonsense advice on living with anxiety and Caroline Foran is my guest on this week’s Real Health episode. Describing the rise of anxiety in people’s lives as an ‘epidemic’, the success of Caroline Foran’s books and podcast has shown how much it is an issue in modern life. Caroline describes her journey from childhood tummy pains to not being able to leave the house as an adult and how she finally came around to accepting herself and how to deal with stress and anxiety in her life. Knowing your body and mind, being comfortable in your skin and educating yourself with information and knowledge can help you, she explains. “Once you understand it you are far better equipped to deal with it,” she tells me in an honest and in-depth interview that I’m sure you will find both inspiring and helpful.